About once a year a book comes along for me that is an absolute game changer. This book is one of those. No one suggested this book, I didn’t hear about it or see someone mention it online. I was at the library for our weekly volunteer work of pulling holds and shelving returns. I was shelving a return book when the word “LOVE” on the spine of this book caught my attention. I pulled it from the shelf. Opened it to a “random” page and what I read was so meaningful I checked out the book. Nearly all spiritual books I read contain the same message presented in different formats and from different perspectives. Which I LOVE. As sometimes it doesn’t resonate when presented at a particular time or in a particular way. This is not one of those books (for me). It is a deeply energetically powerful book. It took me to the next level by guiding me in integrating what I have been experiencing and the path I have traveled the past three years. 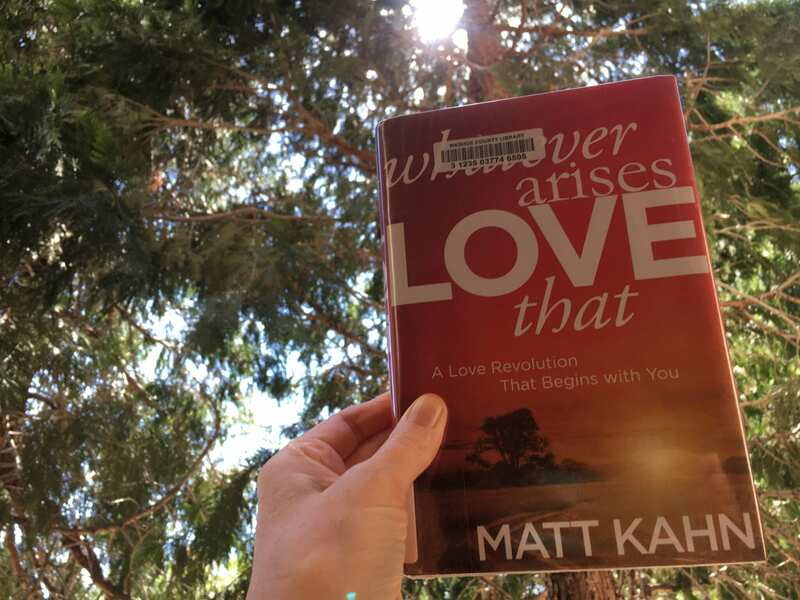 Over the past 17 or so years I have been a heavy and frequent user of the phrase and similar phrases like, “Love is the Answer” and “All You Need is Love.” For me, this practice of loving whatever arises gives a new and different meaning to this. It’s the next level. It’s the game changer. I’m in.